041A2817 is a basic drive and worm gear replacement kit. 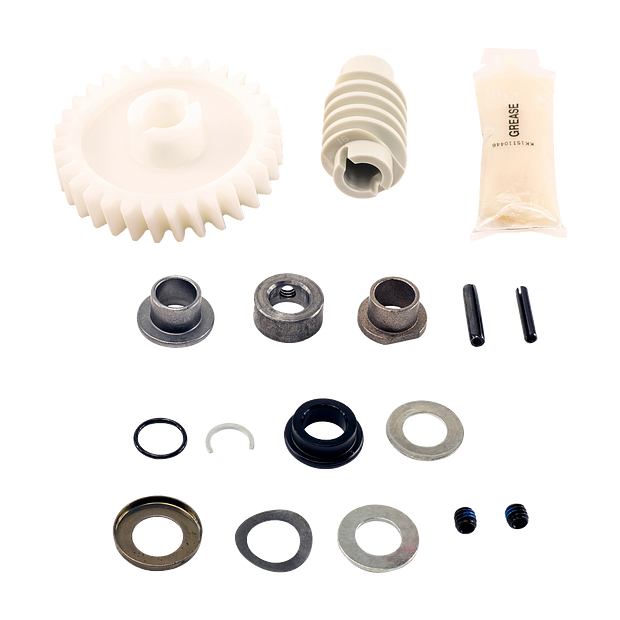 This drive gear and worm kit is compatible with most 1/2HP belt and chain drive garage door openers manufactured after 1993. This complete gear kit includes; (1) helical gear, (1) worm gear, (1) grease, wear bushings, and hardware needed to replace the gears. Check the manual for model number before ordering to ensure compatibility.